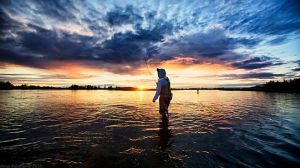 Fd: How did you first get into fly fishing and tying? JPN: I discovered fly-fishing at a very early age. The sport is a family heritage passed along through the generations. I stumbled upon it when I found my fathers fly fishing gear in his workshop. I found a steamer trunk in the attic above his studio that had cigar boxes filled with beautiful feathers that my father used to tie flies with. I was enamored with his boxes of neatly tied flies with soft feathers tied onto sharp hooks. I would run my index finger across the rows of flies in the aluminum fly box and feel how the feathers bend under my pressure yet the hook seemed so intimidating. I recall the recognizing the dichotomy of the fishing fly when I was eight years old; it’s beauty and softness so vulnerable and alluring yet so dangerous with their sharp and hazardous hooks. Fd: Who were your main influences regarding fly tying? JPN: I began to learn to tie flies under my own volition when I was 10 after I begged my father to teach me how to tie flies. My father reluctantly taught me how to tie one single fly for one instructional session only. After that, I was on my own. I would visit the community library and check out every book I could get. I remember reading books Ray Bergman, Art Flick, Helen Shaw, Polly Rosborough et al. When Jack Dennis’s Western Fly Tying Manual hit the shelves, my fly tying actually began to take a functional form. I made the transition from tying Catskill dry flies and transitioned into tying and fishing nymphs. At that time, quality dry fly hackle was hard for me to source and cost prohibitive for a young boy on a five dollar a week lawn mowing allowance. Due to the lack of suitable materials at my disposal, I concentrated on tying nymph patterns with what feathers and fur I could get from the various barns in my rural neighborhood. I used to live in Portland Oregon, home of one of the worlds largest book retailers, Powell’s Books. While in my twenties, I was living in the now trendy uptown urban loft district called Pearl District and would walk over to the bookstore and spend many evenings browsing the endless shelves of books. Day after day, I would wander the aisles looking for new inspiration for my fly tying and design. One book that stands out for me and had dramatically changed my fly tying direction was Oliver Edwards Master Fly Tying Class in the mid-1990s. I had finally found a fly tyer that I could appreciate. Master Class book was the beginning of my exploration of the European fly tying and fishing methods. I had to import a lot of European fly fishing magazines to continue being exposed and to learn the techniques before the time of internet search engines. I think that Google and Oliver Edwards Materclass book are about the same age. Fd: Can you tell us a bit about your personal design philosophy? JPN: My design philosophy begins upon a foundation of simplicity. I ask myself how can I design a fly that fishes well, is durable while using the least amount of materials possible. I think that this philosophy is congruent with many of the European fly tyers. I design flies to fish in the round. Tying flies in the round is not a new concept as Major Charles Brookes had observed and written about a handful of decades ago. Brooks had noted that the fish in the Yellowstone River would refuse to eat a giant salmonfly in the drift if that salmonfly was not drifting in a dorsal up position. In other words, if the lightly colored underside of a strongly countershaded macroinvertebrate such as a Pteronarcys californica were upside down, the fish would refuse to eat it. This lumbering giant is one of the few insects too awkward to maintain it’s orientation and prone to extended belly up drifts. As a fisheries scientist/biologist, I had conducted numerous stream snorkel surveys. I had the opportunity to observe the world of streams and rivers from a fish's eye view. Most all of the benthic macroinvertebrates I have seen in their native environment have revealed to me that aquatic insects are very adept at maintaining a proper dorsal side up orientation, even in the roughest water I have seen insects right themselves. As a result, I design my flies to be observed the same orientation regardless of hook position. Countershading in many patterns is removed as to prevent any potential issues with extremely picky trout rejecting my pattern due to the fly fishing upside down. Most of all flies tied on down eyed hooks actually present in a hook upward position. In my notes, my catch rates have increased since I have adopted the in-the-round philosophy. As a data scientist, I also understand other variables have strongly influenced increasing success rates between fly choice and the tactics used to present them more effectively. Tie in the round making sure it drifts properly. Tie durable flies with sturdy materials. Coq de Leon ad an example, CDL is an amazingly strong feather good for tying jig nymphs that repeatedly crash into rocks. Choose the “right” materials. Does it have just enough flash, sheen or opacity? Tie for a purpose. 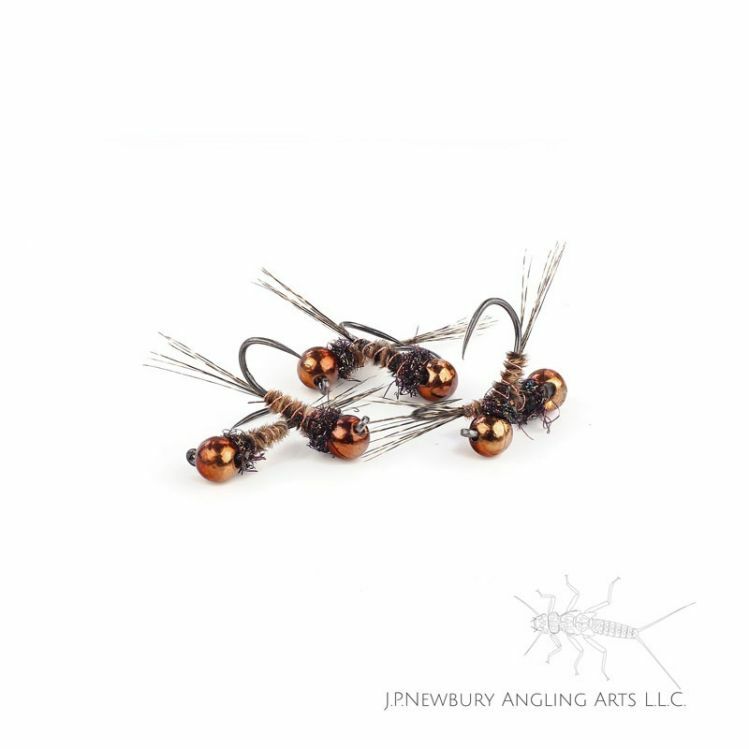 Tactical flies allow the angler to fish at right depth while still imitating a dominant food source that fish are accustomed to seeing frequently. Fd: What tips can you give to the beginners that want to tie flies like you? Stop wrapping with so much thread. I see fly tyers of all skill levels just mindlessly wrap the thread around a hook serving no purpose except to create potential vulnerabilities with the patterns durability that may arise down the road. Why are you performing so many mindless thread wraps in the first place? I make sure that each and every thread wrap serves a purpose. If I only need three wraps of thread to secure an item in position; I will just use three wraps, no more. If I need to build bulk, I will use a thicker thread or even use stretchy floss in instead of making more thread wraps. Select a thread for the intended purpose. The more your twisted thread wraps pile on top of each other, the more they can slip or roll off each other causing the fly top to unravel when you fish it. Second, un-twist your thread anti-clockwise as you tie so that it lays flat. This untwisting ameliorates the round thread syndrome of rolling around and also increases the surface area of the thread thus securing more material with less bulk. As you tie with a bobbin, your thread will furl tighter and tighter into a rope. Untwisting will remove the built up twist and flattens the profile of the thread. Tie with the thinnest diameter of the thread you can handle. I tie almost everything with white 50D gel spun thread, which is nearly invisible and indestructible. I can color the thread with fade resistant ink to get the color I want at the whip finish step. If you find GSP thread to be challenging to work with, treat it with beeswax before you tie. Pulling a section of thread across a beeswax cake will stiffen the thread and make it tackier. Fd: What are the game-changing aspects you consider every tier should have in mind when starting a new original pattern? To me, jig flies are the game changer because they serve multiple purposes. This opens a new avenue to explore fly designs. As I previously mentioned, I like to tie flies in the round, a fly design platform to explore with jig hooks and tungsten beads instead of tying un-weighted flies and thus, relying on a wad of lead to get the fly down. What will change the game is incorporating tungsten weight into the fly. An area I am currently experimenting with. Fd: What would you say to someone who hasn’t yet tried tactical nymphing? If you don't like catching fish, tactical nymphing isn't for you. Fd: There are new tails, new eyes and lots of new fly-tying materials these days. How do you think fly tying will evolve in the future years? I love this new fly tying revolution we are in. To me, as many others will agree, fly tying materials are like paint. I have far too much of it in my studio and will never stop adding more. Acquiring new fly tying materials is almost an obsession. I think we will always explore new materials with the belief that we have yet to discover the perfect tying material. I especially like the materials coming out of the European textile industry. Fd: What can you tell us about your upcoming book? I am focusing on tactical nymph patterns with an emphasis on designing imitative tactical flies for matching actual species of aquatic insects. Fd: Where can we get your flies?